The objective of the combination of BBOXX, the UK renewable energy specialist, and DC Go, a low-cost, off-grid electricity provider, is to provide energy to 4.6 million people in Lesotho, South Africa and eSwatini. This is an ambitious project that will affect several deprived neighbourhoods in cities in eSwatini (formerly Swaziland), South Africa and Lesotho. The South African government has just given its approval for the implementation of this project which “will help reduce the dangerous connections in its townships”. BBOXX will bring its expertise in the supply of clean energy through kits composed of solar panels and batteries capable of powering several devices in the house. DC Go will distribute these products via a pay-as-you-go payment system that has proved its worth in several countries in West Africa with the start-up Baobab+ in particular. Both companies want to provide solar kits to 4.6 million people in both slums and rural areas. “Southern Africa is home to millions of people who do not have access to reliable electricity service. This is a major challenge that will require a concerted effort to overcome. Our project is to harness the power of data and advanced technology to generate sustainable economic development by providing communities in an off-grid environment with a service equivalent to a network connection,” said Mansoor Hamayun, CEO of BBOXX, following the signing of the partnership agreement with DC Go. 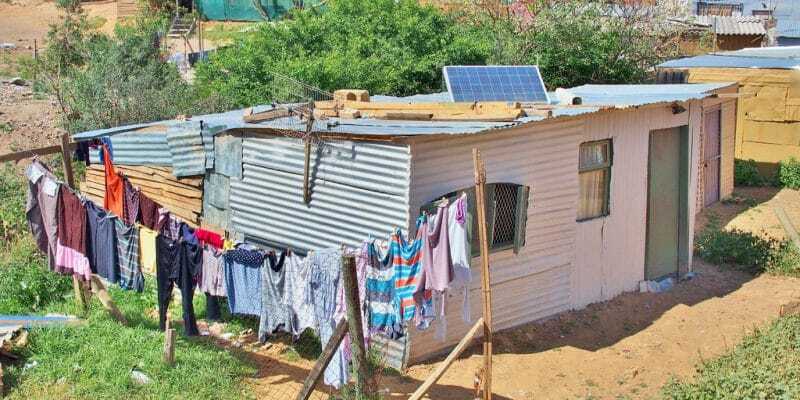 DC Go director Greg Midlane welcomed the South African government’s move to encourage the installation of mini grids and solar home systems. South Africa relies on these stand-alone facilities to ensure that all households have reliable access to electricity by 2025. This is not the first time that BBOXX has considered a large-scale project in Africa. This company, which employs more than 450 people worldwide, is already established in East Africa, notably in Rwanda. On the 5th of June 2O18, it concluded an ambitious agreement with the Congolese DR government. The company is expected to supply electricity to 2.5 million people by 2020. The 400,000 solar kits it plans to install in several houses in the DRC will increase the country’s electricity access rate by 15% (World Bank figure from 2016).